Confession. I was not a big Brussel sprout fan until I tried them this way. After all, you can’t go wrong with cheese and bacon right? If you are a skeptic, you gotta give this recipe a try. Heat a pot of water on the stovetop. Prep the Brussel sprouts by washing and cutting the ends off. Place Brussel sprouts in the pot of boiling water and boil until tender. Midway through boiling Brussel sprouts, preheat oven on 375 degrees. When Brussel sprouts become tender (about 10 minutes), remove from stove top and drain. Place Brussel sprouts on a baking sheet and smash each sprout with a spoon or meat tenderizer press. Serve as a side or enjoy as the main dish. 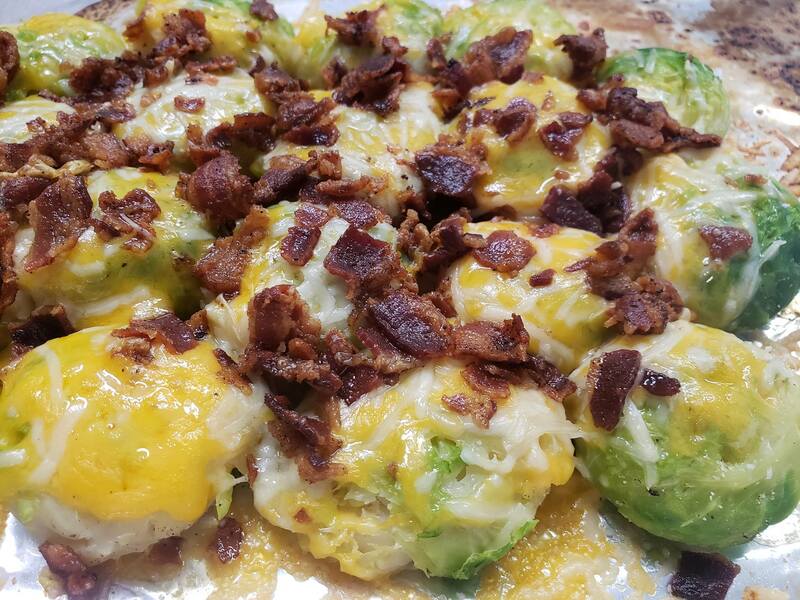 Try out these other delicious brussel sprout recipes!